So last night a crazy thing happened. A mom friend of mine posted about something I hadn’t seen on facebook. Apparently a woman somewhere in facebook land posted some really hateful words about our little kiddos with Down syndrome. REALLY hateful. Think as awful as you can then multiply by a million. That bad. I hadn’t seen them. I read them. I hated them. Every word. I hated it. And I told my friend Lisa that I wondered what Jesus would do. And I battled between that and my mama bear protective mode of my son. And I promise you, here’s how I know Jesus lives in my heart. I wrote that woman in Facebook land a message I truly hope she reads. 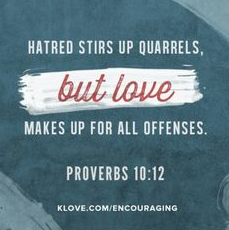 We can’t expect others who are filled with hate to respond differently if we lash out. We just can’t. If we hope to change the hearts of the people who persecute our children, who hate them, who wish them dead, we HAVE to start with love. Like many moms of a little one with Down syndrome (his name is Isaiah and I prefer to refer to him that way as Down syndrome doesn’t define him)… so, like many moms of a little guy like my perfect little Isaiah, I was super sad to see your post. Hacked. Not hacked. Whatever. Then I took some time to read some of the things people posted back to you. Made me even more sad. Saw some of the messages people sent to you. They’re hurt. Hence their replies filled with anger and hurt. I was thinking. I wonder how Jesus would reply to you? That’s how I’m called to reply to you. I have to admit, my heart hurt to read your words. But when I took a minute to think about it, it hurt more for you. I wonder what has happened in your life that shaped that kind of thinking? I’m sad for you. I’d love to pray for you. Here’s what I’m thinking. I’m thinking this opportunity, this super sad situation where people are attacking you for the hurtful words you posted on your page, perhaps if more of us reached out to you extending love and forgiveness maybe you’ll be open to learning more about the joy of our special little kiddos. I suspect one phone call with our Isaiah, or one of his friends like little Elliott or KC or Beckett or Jordan or Charlie or Ellie might change your mind. I happen to know all their moms personally and I suspect they might be open to sharing the love of their children with you, even if they’re hurt by what they read. I’m going to be praying for you tonight. If you have any specific prayer requests, please feel free to send them back. I’ll also pray for the people persecuting you for your posted comments. Hearts are a hard thing to heal. Let’s start with yours! My email is michelle@tesorifamilyfoundation.org. And attached are two photos of our Isaiah. I hope you’ll see the joy in that perfect face. And should you, for any reason, not have anything nice to say about me or Isaiah, please feel free to keep that to yourself. I absolutely believe your heart can be changed if you welcome the opportunity. Last night could have gone many ways. Most of which would have ended up with me really frustrated and lashing out at a woman I’ve never met for feelings I don’t understand her having and can’t comprehend her expressing. The mama bear in me wanted to cry for my son. For all of our children. I wanted to ask her how she thought murdering Isaiah or one of his friends with Down syndrome would somehow be “better” for him or for her? I can’t tell you how hard that sentence was for me to even TYPE. What has to happen to someone’s heart for them to post such a thing? She thinks my son is ugly and we should somehow spare her having to look at him? Oh, what sadness. What heartbreak. What horror. Instead, I took some quiet time with my Lord and Savior. I was reminded of something I witnessed our friend Webb do (well, we witness him do these types of things A LOT, but this was one specific example). And I thought about how differently the sinful side of me is compared to the person Jesus created me to be. And I opened up my heart to HIS reply… not mine. I’m simply not capable. And I slept great last night. And I am reassured with every passing moment, as I periodically check (with NO expectation) to see if Suzie has chosen to reply, that THIS is how we should respond to each other. In love. Period. As you go about your day today, how can you show love to someone who is hurting? Someone who is lashing out? How can you set aside your sinful nature (y’all don’t even WANNA know what my big ol hot mess of a sinner side wanted to reply!) and open up the pathway to let Jesus work through you? Can you imagine how different the world would be if we all embraced this kind of love? I challenge you to give it a shot. And feel free to share here what you find when you choose Jesus above all things. I’d love to hear from you! Photo courtesy of Daydream Designs.